Bulletstorm Full Clip edition is the definitive Bulletstorm experience that includes all existing Bulletstorm add-ons, plus brand-new content exclusive to Full Clip; updated with hi-res textures, increased polygon counts, sterling audio, and smoother frame rates-all running in up to 4K resolution on PS4 Pro. An exiled member of the elite assassin group Dead Echo, Grayson's blind desire for vengeance finds his crew stranded on Stygia where he can finally confront the commander behind his betrayal-or get his team off the planet alive. The Maximum Family Games Bulletstorm Full Clip Edition Xbox One Game was added to the Xbox One Games category in January 2018. 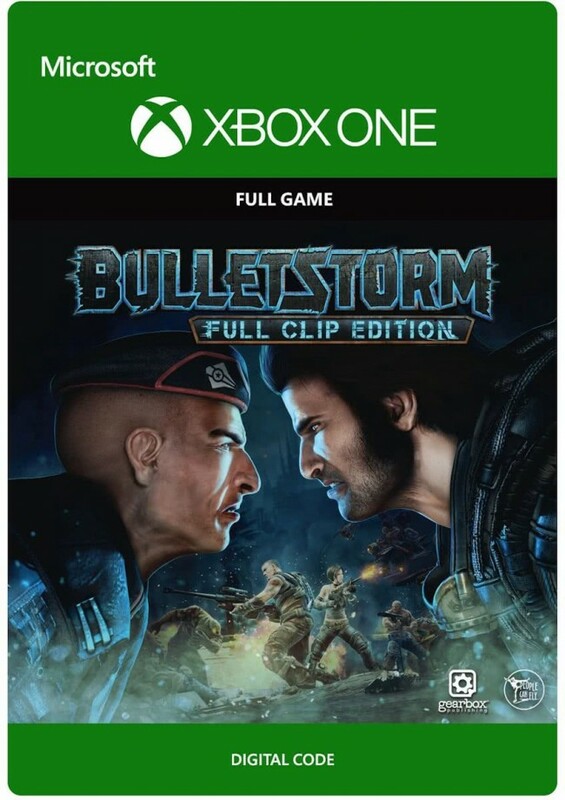 The lowest price GetPrice has found for the Maximum Family Games Bulletstorm Full Clip Edition Xbox One Game in Australia is $28.00 from The Gamesmen.